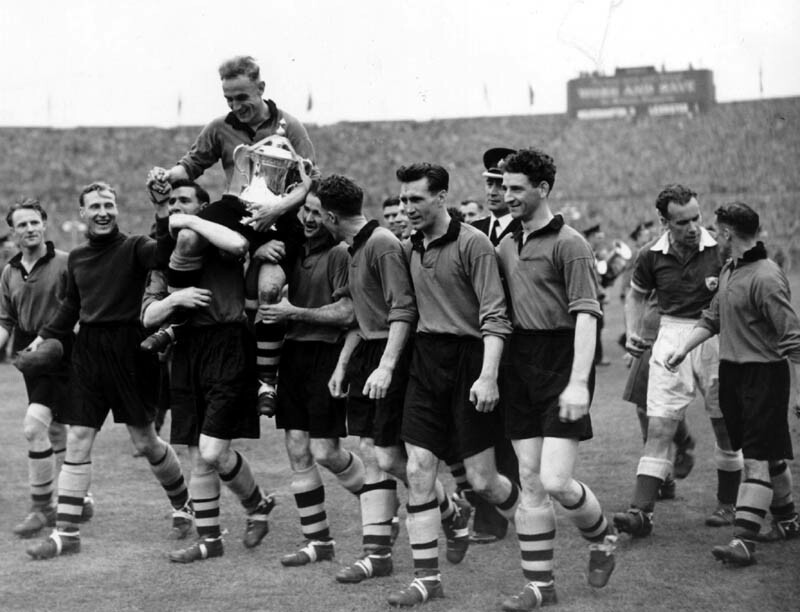 Proudest day.....Roy Pritchard (nearest camera, alongside Jimmy Mullen) savours Wolves' 1949 Wembley victory over Leicester. Our current ‘Big Picture’ prompted Wolves fanatic Kevin Jones to email us in praise of Roy Pritchard, the former Molineux left-back who is photographed one in from the right. The one-time Bevin Boy was born in the town we now know as Telford and was such a distinguised performer for the club across his 223 League and Cup games that his name became attached in the 1990s to their Young Player of the Year award. From Kevin, though, a Cheslyn Hay-based accountant for a firm south of Birmingham, comes a more personal insight…..
“I was sitting in that stand with my late father when the photo was taken in 1992 and it brought back some nice memories,” he said. “It made me smile to see Roy on it. My first job after leaving school in 1977 was in the cost office of GKN Sankey in Bilston, where I ended up sitting next to him. “I didn’t know who he was until he brought out some newspaper cuttings – then I remembered some of the tales my dad had told me. 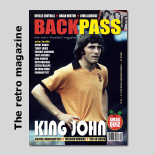 “He was apparently the one full-back Stanley Matthews could never get past and, when we used to have a game of five-a-side at work, I realised he still didn’t like losing. He would have been in his 50s then but wouldn’t let you take any liberties. “I’ll never forget that, five minutes after our first meeting, he reached into the depths of his drawer, pulled out a box and said: ‘Ever seen one of these?’ It was his FA Cup winners’ medal from 1949. “It was something that us mere mortals would kill for and he had it shoved in the back of his drawer! “Roy was a real character, forever telling us tales of the 1950s, spending most of the day picking horses and occasionally walking down the office wearing one of Dave Wagstaffe’s number 11 shirts. “He was also the man to know if you wanted tickets for big matches because he was obviously very well connected. The 1979 FA Cup semi-final against Arsenal at Villa Park springs to mind. “I’m sure he invented the booking fee because there was a small premium to pay! 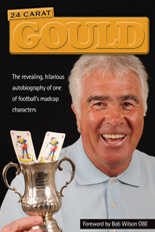 “He also occasionally used to take me if he had any business at Molineux. I remember having a tour round the old Waterloo Road Stand and being introduced to the physio, Kevin Walters. “Roy was a great bloke and has left me with great memories. But what really made me smile is that I could probably have recognised him if you had blanked out all the faces on that photo. 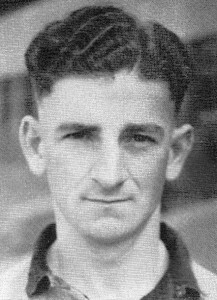 Roy Pritchard guested for Mansfield, Notts County, Swindon and Walsall during the war and, after Wolves, served Aston Villa, Notts County again, Port Vale and Wellington Town. He played 27 First Division matches in 1953-54, the season Wolves won the League Championship for the first time. He died in January, 1993, aged 67. Posted on: Friday, September 24th, 2010.